More than ever, children need something positive to hold onto. If they can sing some of their troubles away, maybe that will clear their heads so they can come up with solutions. This book was published a few years ago, but has even more relevance to today. The author, Debbie Levy, has written about many subjects that qualify as consciousness-raising, including Ruth Bader Ginsburg, the Holocaust, the Vietnam War, and Richard Wright. In this story of the civil rights movement, she treats the topic with her usual sensitivity. From slavery to the lunch counter sit ins to the Freedom Singers, this one song held the people together. The March on Washington and the fight for the Voting Rights Act featured the song. It spread throughout the world to inspire struggles in other countries. The song evolved over the years, but the sentiment remained the same. 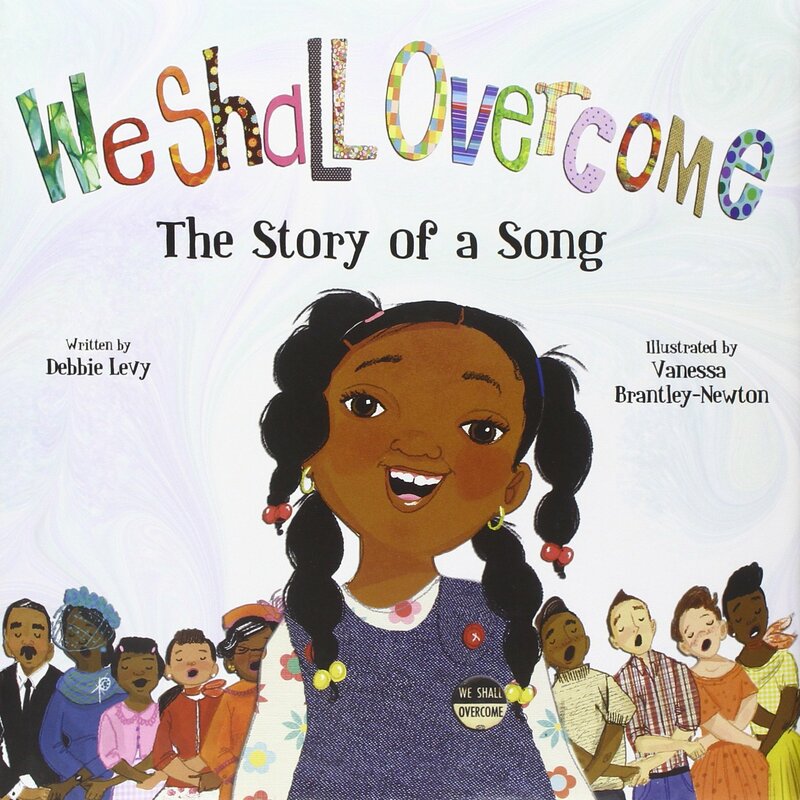 Vanessa Brantley-Newton is also no stranger to working with sensitive issues nor to illustrations about songs. Her images perfectly show how the singers have incorporated the song into their lives. Highly recommended for early grade school discussions of current events.